Racing 92 sub Edwin Maka comes onto the field. Juan Imhoff departs for Racing 92. Gia Kharaishvili comes on for Racing 92. Cedate Gomes Sa leaves the field. Benjamin Urdapilleta kicks the penalty. Leone Nakarawa (Racing 92) is shown a yellow card. Benjamin Urdapilleta has kicked a penalty goal. 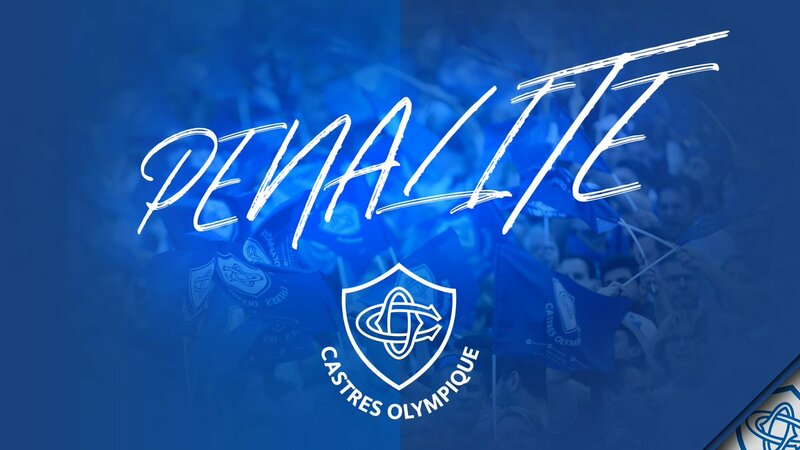 Castres decide to make a substitution, with Yannick Caballero getting some game time. Castres decide to make a substitution, with Maama Vaipulu being replaced. Racing 92 make a substitution with Olivier Klemenczak coming on. Racing 92 make a substitution with Leonard Paris coming off. Racing 92 sub Guram Gogichashvili comes onto the field. Eddy Ben Arous departs for Racing 92. Teddy Baubigny comes on for Racing 92. Dimitri Szarzewski leaves the field. The Racing 92 supporters go wild as Ben Volavola successfully kicks the penalty goal. Racing 92 decide to make a substitution, with Ibrahim Diallo getting some game time. Racing 92 decide to make a substitution, with Antonie Claassen being replaced. Castres make a substitution with Kevin Firmin coming on. Castres make a substitution with Marc-Antoine Rallier coming off. Castres sub Marc Clerc comes onto the field. Wilfrid Hounkpatin departs for Castres. The touch judges raise their flags as Ben Volavola kicks the penalty goal. Benjamin Urdapilleta adds the points for Castres. Antoine Gibert comes on for Racing 92. Teddy Iribaren leaves the field. Benjamin Urdapilleta does the business as his penalty goal attempt goes over. Benjamin Urdapilleta makes no mistake with that penalty goal attempt. Racing 92 have a penalty and Teddy Iribaren is having a shot at goal but he misses the target with that attempt. Rory Kockott steps up to take the penalty goal but doesn't make it. Penalty goal attempt from Teddy Iribaren has the distance but not the direction. Teddy Iribaren has kicked a penalty goal. Touche à 10m pour le @racing92. Allez les gars !! @RoryKockott est remplacé par @domenech_Y. Carton jaune pour Leone Nakarawa, pour un plaquage haut sur @RoryKockott. Le stade fait presque comble : il y a 11008 spectateurs cet après-midi !!! Enorme coup de pied de @julien_dumora, Pierre Fabre s'enflamme ! Sorties de Steve Mafi et @a_tichit, entrées de Loïc Jacquet et de Tapu Falatea. Ma'ama Vaipulu remplacé par Yannick Caballero. Thibault Lassalle, Kévin Firmin et @yanndavid13 remplacent Loïc Jacquet, @MarcoRallier et Thomas Combezou. @WHounkpatin est remplacé par Marc Clerc. Pénalité pour le @racing92. L'ouvreur Ben Volavola la convertit et réduit le score : 12-6 pour Castres. 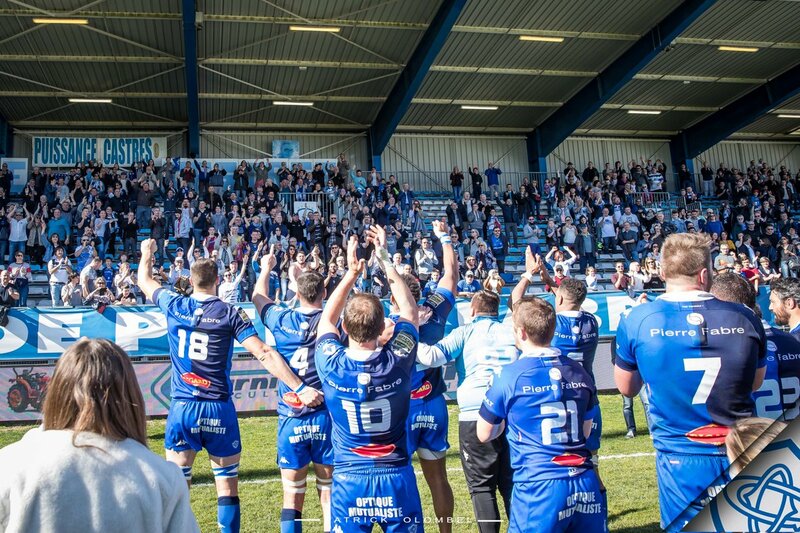 Pénalité pour le Castres Olympique, transformée par @BenjaUrda ! Le CO mène 9 à 3 ! @LaveauMartin, blessé, est remplacé par @julien_dumora.